8 GB+ graphics card memory. The CPU should have as high a GHz value as possible, ideally 4.2+ GHz. 6 GB graphics card memory. The CPU should have as high a GHz value as possible, ideally 4.0+ GHz. Examples: NVIDIA GTX 1060 (6 GB memory), Quadro K6000. 4 GB graphics card memory. Rendering movies in 4K resolution (3840×2160 pixels) requires a minimum of 6GB graphics card memory. 2 GB graphics card memory. 2. What’s the difference between NVIDIA Quadro and NVIDIA GTX/RTX graphics cards? Non-Quadro GTX/RTX graphics cards can render “game” graphics very fast (Lumion is built with a game engine). Quadro cards can render lines very fast in CAD software. 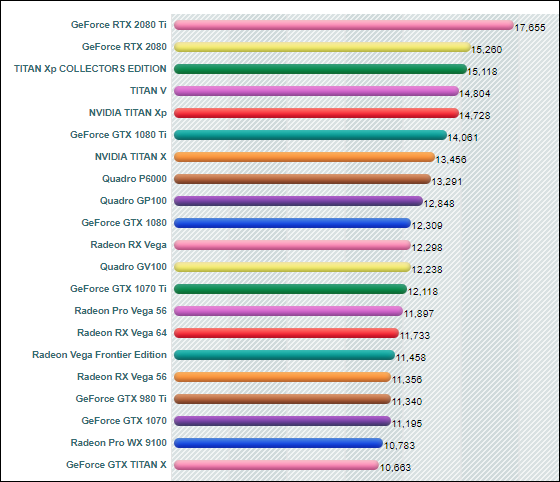 Non-Quadro GTX/RTX graphics cards have got 8 digits of precision for position, rotation and scale values. Quadro cards have got 16 digits of precision for position, rotation and scale values. Many of our customers use GTX/RTX graphics cards when working in both Lumion and in their CAD software. Although there are slight differences between Quadro and GTX/RTX graphics cards, GTX/RTX graphics cards work fine in CAD software. If you need to choose between an expensive Quadro graphics card and a cheaper GTX/RTX graphics card with the same number of PassMarkpoints, the GTX/RTX graphics card is usually a good choice. Multiple graphics cards (in NVIDIA SLI, AMD Crossfire or NVLink configuration) will not boost the performance in Lumion. Lumion will simply use the graphics card that is connected to the monitor that the Lumion window is running on. Some of our users make use of 2 graphics cards connected to 2 different monitors. That way, you can use Lumion on 1 monitor/graphics card while the other monitor/graphics card is used for other applications. This sort of set-up tends to have a negligible impact on performance. IMPORTANT NOTE FOR DELL & HP OWNERS: Some power supplies in Dell and HP computers are known to cause instant reboots when you start rendering images/movies in Lumion. A number of our users reported that the reboots stopped occurring after they replaced the Dell/HP power supplies with power supplies from reputable manufacturers (80+ gold-rated). The power supplies of certain Dell workstations will only work with the graphics card that they are delivered with (or low to medium-end graphics cards). Unless you can replace the Dell power supply with a more suitable one, you will often not be able to use high-end graphics cards like the GTX 1070, 1070 Ti, 1080, 1080 Ti and Titan Xp. There is a workaround which involves limiting the amount of power to the graphics card via an app called MSI Afterburner, so that the graphics card runs slower. Please enquire at the Lumion Support Center if you need assistance with this process. When it comes to building your dream gaming PC, figuring out the best graphics card for your needs, wants, and budget is often the most difficult part. Every gamer might love to have an $1,199 (£1,099, AU$1,899) Nvidia GeForce RTX 2080 Ti, the fastest consumer card right now, but your wallet should have the final say. Excellent performance at high resolutions is only one factor to consider, and you can easily game on much more affordable hardware. The best graphics cards come in variety of shapes and sizes, and we’re here to help you find the perfect GPU, no matter what kind of games you want to play, or what your budget looks like. The RX 580 8GB is a great card for 1080p gaming, and this PowerColor card is the cheapest one at the moment. It also comes with two free games. If you’re trying to play titles like Metro Exodus in 4K at 60fps, you’re going to need an expensive GPU like the RTX 2080 Ti. But, if you’re just trying to play some Overwatch or World of Warcraftwith some friends, you can get by with something like the Nvidia GeForce RTX 2060, GeForce GTX 1660 Ti, or AMD Radeon RX 590, which are a fraction of the price. No matter what you’re trying to do, there’s a graphics card out there for you. Right now, if you’re looking to balance budget vs performance and future-proofing, we’d probably recommend the Nvidia GeForce RTX 2070. While it isn’t the most powerful card, it matches or exceed the performance of the previous generation GTX 1080, at a slightly lower price, and it supports all the ray tracing and DLSS effects for when those become prevalent. The EVGA Black RTX 2070 is one of our favorite options, but keep an eye out for deals as we’ve seen other RTX 2070 cards drop as low as $450. It all comes down to personal choice and budget, so below you’ll find the best graphics cards at their cheapest prices we could find, along with some notes on their performance and features. And here are some links to other features you’ll find useful if you’re building a complete PC instead of just upgrading your graphics card. Nvidia’s GeForce RTX 2080 Ti is the latest and most potent GPU around, and it’s also one of the largest consumer GPUs ever produced. The Turing TU102 is 60 percent larger than the Pascal GP102 in the 1080 Ti, with 55 percent more transistors. Those extra transistors went into more CUDA cores, but Nvidia didn’t stop there, adding in Tensor cores to help accelerate deep learning algorithms like DLSS, plus RT cores to accelerate ray tracing. There are plenty of other enhancements in the Turing architecture as well, but if you want the best, be prepared to shell out: the cheapest 2080 Ti cards start at $999, with many selling for $1,199 and up. If you’re looking for the best value, forget about the new RTX cards. On the other hand, if you’re eying a 4k 144Hz HDR G-Sync display and you want the absolute fastest graphics card around, this is the card for you. You could even try adding a second card and using an NVLink connector, assuming you just won the lottery. We’re unlikely to see anything substantially faster for at least a year, so you’ll be able to sit comfortably at the top of the pecking order for a while. Sure, the RTX 2080 Ti is the fastest graphics card and has all sorts of cool and potentially useful features, but at the current prices it’s a tough pill to swallow. Dropping down to the RTX 2080 will get you still excellent performance—it’s the second fastest consumer GPU, edging out the GTX 1080 Ti—and save over $300. And you still get the same ray tracing and deep learning (eg, DLSS) features, albeit not quite as many of each core type. The one major caveat right now is the same as above, we’re still waiting for games that enable ray tracing effects and DLSS. Those should start arriving in the next month or so with a Shadow of the Tomb Raider patch and Battlefield 5, but will the RTX 2080 be powerful enough to use the new features? Most likely not at maximum resolution and quality, but hopefully we’ll be able to run at a reduced quality ray tracing mode that will look nearly as good and perform better. The Radeon VII is an excellent GPU for content creation duties with gaming as side job. That’s thanks to its massive 16GB of HBM2 and 1TB/s of memory bandwidth. It’s also the world’s first 7nm GPU, which is how AMD reduced the size compared to Vega 64 while boosting performance. If you want the fastest graphics card that $700 can buy, you’re generally better off with the RTX 2080. It outperforms the Radeon VII by around 10 percent on average, and it does that while drawing less power. However, there’s something to be said for supporting AMD as an alternative to Nvidia, and some gamers will take that route. Supply of the Radeon VII hasn’t kept up with demand, at least not yet, but we expect that to change. We also expect to see some custom designs from AMD’s AIB partners at some point, but right now all the Radeon VII cards use the same reference design. It’s a great design, though, with triple fans and a stylish enclosure. If you’re pulling for Team Red, this is currently as good as it gets.